The new Ford Mustang GT is all about one thing – the engine. Sure, it’s got retro style to spare, and yes, the interior is quite comfortable, but really, none of that matters. Nor does the optional satellite-linked navigation system that gives you everything from live traffic to movie times and local gas prices. Because under the hood lies the star of the show, an all-new 5.0-liter V-8 packing 412 brutal horsepower and a 7,000 rpm redline, linked to the rear wheels via all-new six-speed manual and automatic transmissions. And we haven’t even mentioned the exhaust note yet; its deep growl perfectly fits a performance icon like the Mustang. And noise is really what this car is all about. Whether revving in neutral at a standstill or shredding the tires in a massive, car-engulfing burnout, the Mustang carries with it at all times the ability to make anyone within earshot take more than a cursory glance over their shoulder. In short, it’s everything we want in a 5.0-liter pony car – excessively fast, stunningly loud and, at under $30K for the base GT, reasonably affordable as well. Tons of power coupled with relatively long gearing means the new Mustang GT packs plenty of power but also returns respectable fuel economy, getting up to 26 mpg on the highway, which when you consider its output of 412 horsepower, is quite impressive. You can’t write about a Mustang without mentioning the car’s stubborn and persistent use of a solid rear axle. As adept as Ford’s execution of this nearly ancient rear-end setup may be, it’s hard to call it anything but an obsolete performance engineering application. Some interior plastics are still a bit on the hard side, but at this price, it’s tough to complain. How fast do you like to drive? Because the new Mustang GT likes to go fast. Very fast. The 0-60 time is less than five seconds, and it feels every bit that fast, as the speedometer seems to easily sweep past freeway speeds every time you put your foot into the throttle. The car feels at its most impressive between 4,000 and 6,000 rpm in third and fourth gear, where it really pulls hard. But the Mustang GT isn’t a one-trick drag racer. The combination of a stiffer chassis, standard front strut brace and limited-slip differential mean the Mustang GT is happy to carve up a mountain road, and the new optional Brembo brake package mean it has little issue bringing itself down from big speeds as well. And like all V-8 Mustangs before it, the V-8 is quite the singer. Our advice? Find a tunnel, roll down the windows, drop a couple of gears and enjoy all the furious V-8 wail you can handle. 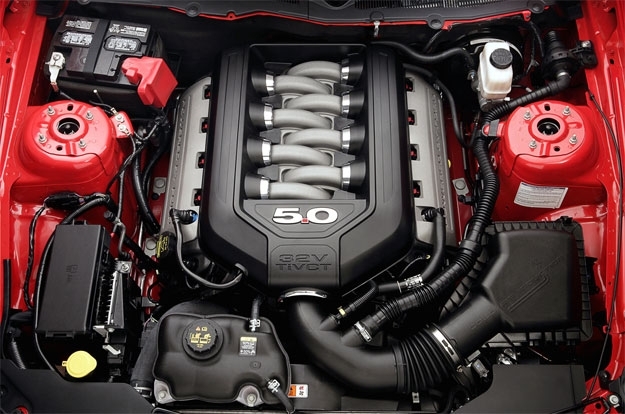 The Ford Mustang GT gets an all-new V-8 with a medium-sized displacement of 5.0-liters. Thanks to twin independent variable camshaft timing, the engine puts a robust 412 horsepower and 390 lb-ft of torque to the rear wheels via either a six-speed automatic or manual transmission. 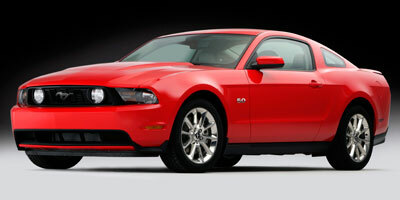 Obviously, the key feature of the Mustang GT is its 5.0-liter engine that is swimming with horsepower and torque. The motor uses traditional port fuel injection over the more modern direct injection, but still manages respectable fuel economy thanks to twin independent variable camshaft timing (Ti-VCT), which allows for changes in the intake and exhaust valve timing, improving low-end torque and fuel economy. Ford is no stranger to technology, and the Mustang takes advantage of a host of high-tech goodies. Navigation, rear-view camera, SYNC and Sirius satellite radio can all be added. The navigation system is easily the most impressive item, and in conjunction with conveniences such as live traffic, also has the capability to show sports scores, local gas prices and movie times. 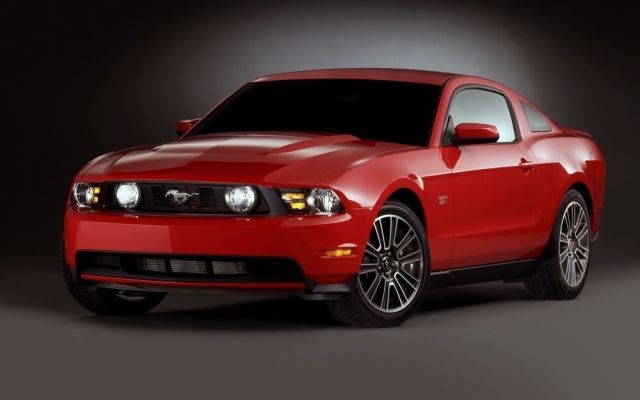 Considering it churns out over 400 horsepower, the Mustang GT returns surprisingly high fuel economy. The six-speed manual will net 17 mpg city and 26 mpg highway, while the automatic does only slightly worse, at 18 mpg city, 25 mpg highway. As it was just redone last year, the Mustang’s interior remains a familiar affair. Ford has set their sights high, marking premium brands as an if-we-had-an-unlimited-budget inspirational benchmark, and there are some very cool color combos available for the leather. Just don’t plan on putting any adults in the back seat for more than 30 minutes at a time. Exterior changes from last year’s refresh aren’t too drastic, amounting to new headlamps, a slightly re-worked and more aerodynamic front-end, a new grille and LED tail lamps. 5.0 badges are back on the fenders (we’ll stay away from the Vanilla Ice jokes). Concave mirrors have been added to the side mirrors to aid in blind-spot visibility, but can be a bit distracting. The Mustang GT comes out to $30,495, and that’s including an $850 destination charge. Premium models have an MSRP of $33,685. All things considered, $30K for 400-plus horsepower performance comes across as a pretty good deal. The Mustang GT competes with the likes of the Chevrolet Camaro SS ($30,945), Dodge Challenger R/T ($31,585) and, to a lesser extent, the Nissan 370Z ($29,990) and Hyundai Genesis Coupe ($25,000). 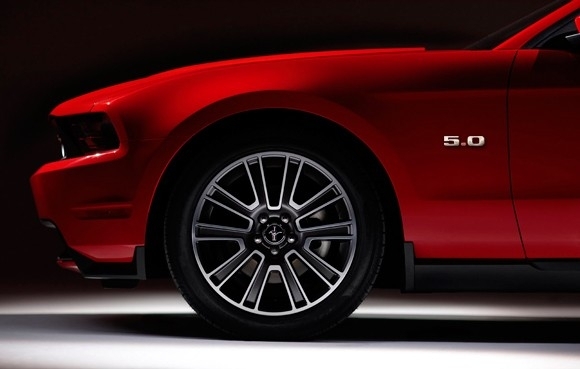 For roughly $30K, there’s little to dislike about the revived 5.0 Mustang. Not only does the Mustang come in at a lower MSRP than its domestic rivals, but it also manages to be a more competent vehicle with which to tackle back roads and drag strips alike, despite being slightly down on horsepower. It’s fast enough to get you into some trouble, and that’s what a muscle car should be all about.